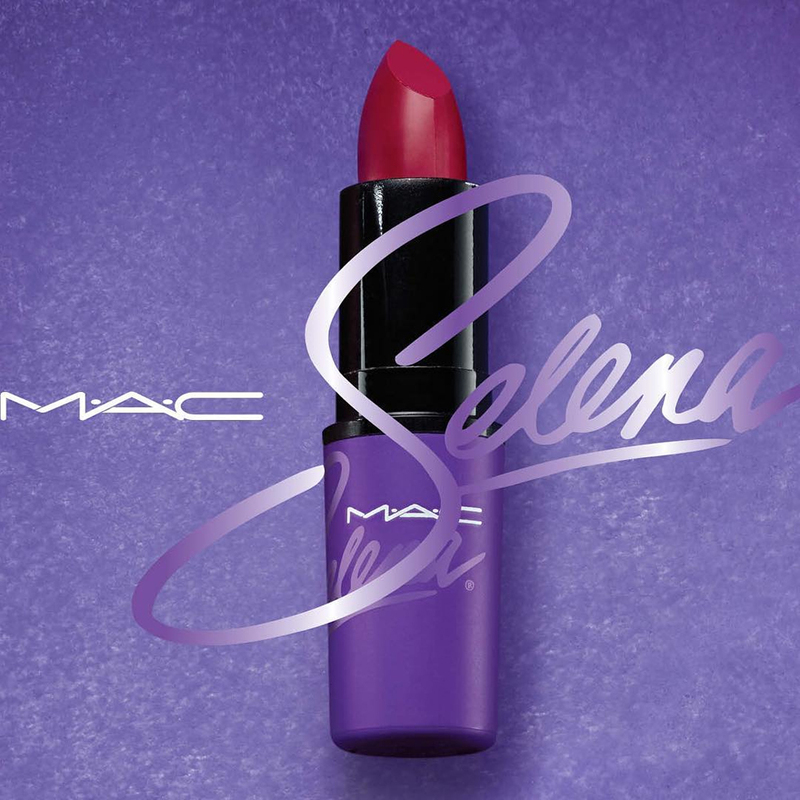 First look at the MAC Selena 'Como La FLor' lipstick! The first image has finally been released from the MAC Selena Quintanilla make-up collection, and it’s everything you’d have hoped for as both a Selena fan and lipstick addict. Confirmed in July last year, the collection follows a Change.org petition started by a Selena superfan. After more than 37,000 people signed the petition calling for a collaborative collection to honour the late singer, MAC announced that it would work with Selena’s sister Suzette, to curate a collection inspired by Selena’s signature style. Known for her bright and bold lipstick both on and off the stage, the Latina star was tragically shot in 1995 by fan club president Yolanda Saldívar. Over 21 years later, Selena’s fanbase is still incredibly strong, and this new homage is sure to catapult her hugely successful music, as well as her impeccable choice of lippy, back into the heart of the mainstream. An Instagram post revealing a first look at the MAC Selena Como La Flor lipstick, a deep magenta taking its name from one of Selena’s biggest singles, has had over 123,000 likes and more than 13,000 comments so far, proving just what a huge hit the collection is set to be. Suzette has also thanked both fans and MAC for honouring her late sister, explaining: “I wanted the colours to be about her personally, what she wore on and offstage. She has been gone for 21 years already, and for this collaboration to happen, it’s pretty much incredible. The MAC x Selena collection will be available from October 2016. We can’t wait to get our hands on it!